We're reluctant to even call an attic a “room” until it's finished and functions as a room. If your attic is just collecting dust, or maybe a truckload of boxes with Christmas ornaments, it may be time to consider a remodel. 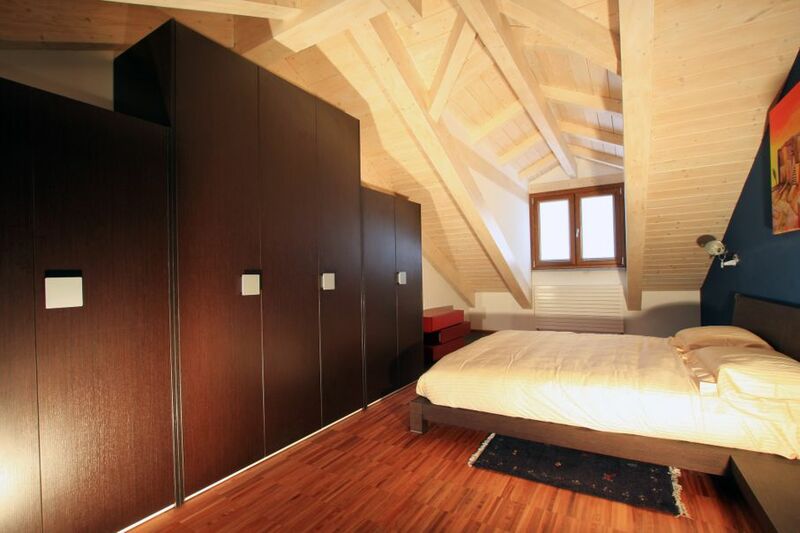 Attic space looks awkward at first, but there are many things you can do to transform the space into a hidden getaway. In addition to the common remodel that turns an attic into a master suite or a guest room, here are some more interesting ways to use your attic space. 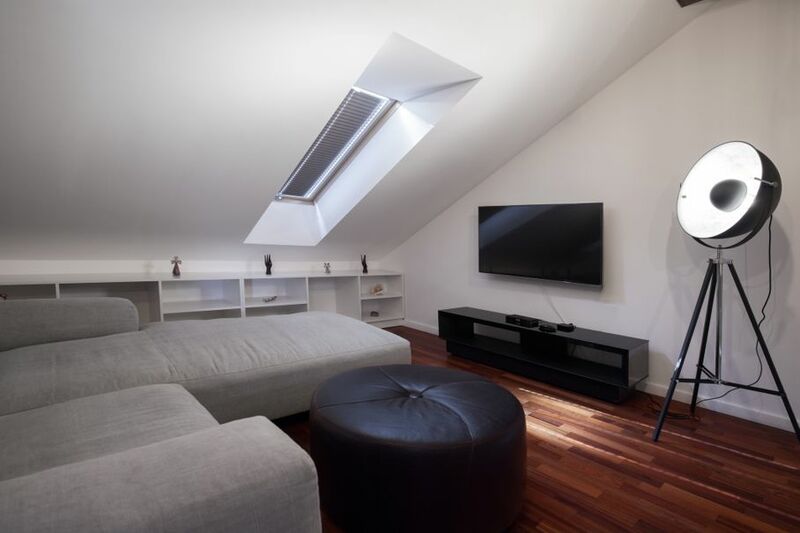 If the attic is large enough to mount a television on the wall, you’re already well on your way to your very own home theater. All you need are some low-profile couches or even plush floor cushions, and you’ve got the perfect set up. Throw some rugs on the floor, connect your gaming console or your DVD player, and install a mini fridge to create the perfect hangout spot for you and your friends. 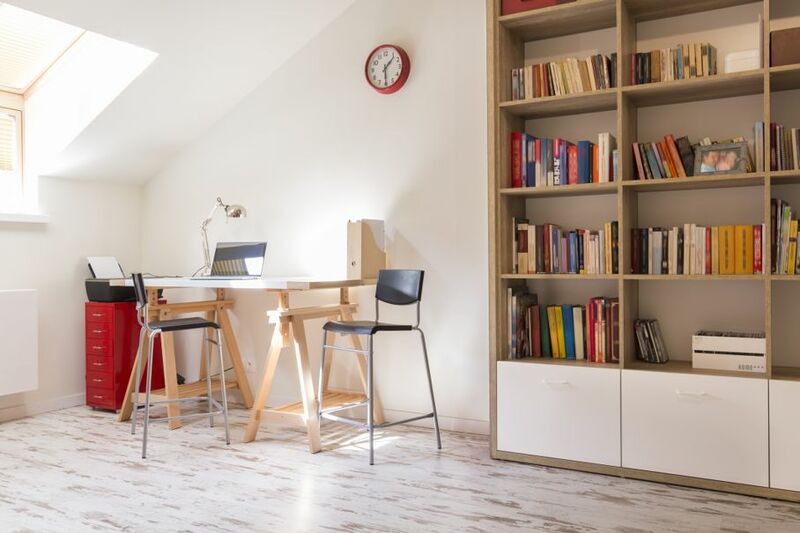 If your attic can become a bedroom, it can definitely become a new home office. 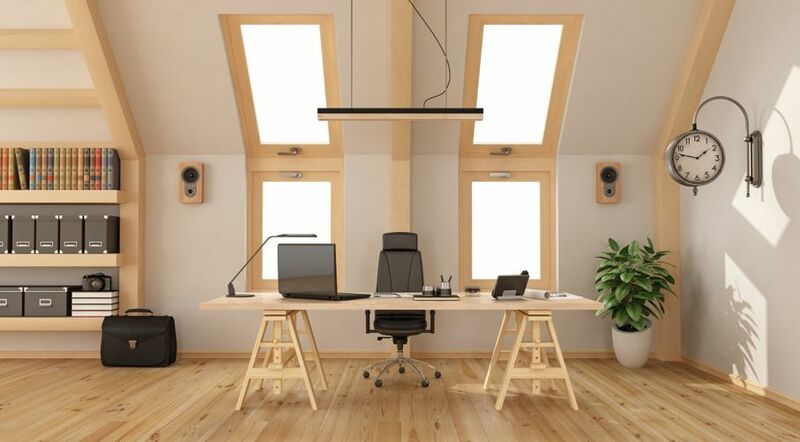 You already know how important having your own space to work can be, and it’s very easy to be distracted when your office is on the main floor. Putting it away from the daily traffic around your home will indeed give you a space to be productive. Low bookshelves and a simple desk make it easy for you to stay organized without bringing up the clutter. If the attic isn’t the large space you need to turn it into a bedroom, it can still make a great library. Books don’t need much space if you have the right kind of storage. Shelves around the bottom of the wall, or even free-standing crates lining the walls, can create book storage. All you need to add is a floor cushion or a low chair, and you’ve got the perfect reading nook. Make sure you have good lighting to read by. If windows aren’t available, recessed lighting or even a fancy chandelier can be a fun way to dress up an otherwise stark space. Hey, we all want one. If you can't think of another way to utilize your attic, why not? Go ahead and measure it for a custom storage system, or if you’re handy, build your own hanging bars and shelves. You can hang clothes from the sloped ceiling as long as the bar is installed sturdily, so you won’t lose any possible storage space. Add a mirror or two and you’ve become the luckiest fashionista in town. One big advantage to using the attic as a secret playroom is that you can keep the toys and clutter out of the kid's rooms on the main floor. It’s much easier to overlook the mess of toys in the attic, which will help you to maintain your sanity as well as their play time. Plus, an attic playroom creates a fun experience for your children. They'll love the mysterious element of being away from the main home areas while they play. Do you need another bathroom? What about a larger laundry room? 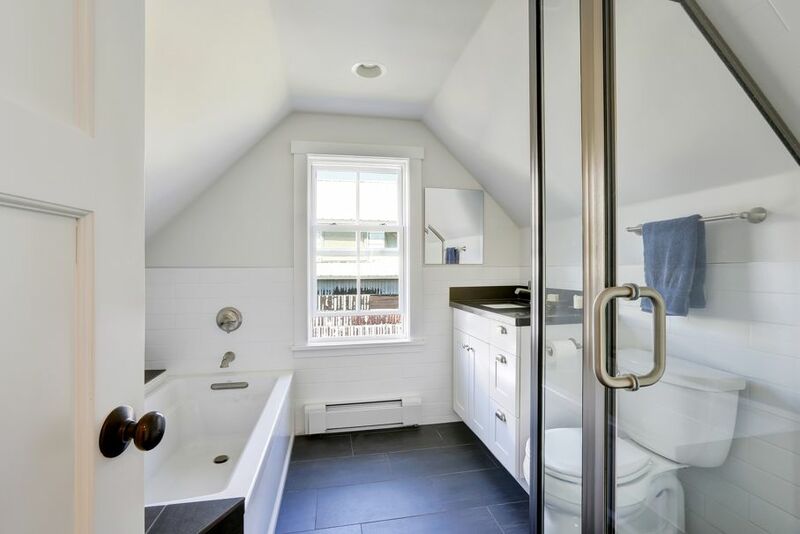 It may take more work with the plumbing, but if you have a great contractor or the know-how yourself, an unused attic can easily be transformed into the new utility area. You could place built-in shelves around the entire space for linens and seasonal gear that you don’t need. Taking advantage of all the living space in your house is a great way to turn it into the home you’ve always wanted. With a little creativity, your attic can become your new favorite room. Give a little attention to your neglected spaces and tell us what you’d love to do with your own secret room.